The One Health approach calls for professionals to reach across disciplines to address increasingly complex global challenges. The idea is that animals, people and the environment are inextricably linked to one another, which means doctors, veterinarians, ecologists, government employees and others across other professions must collaborate and communicate while working toward lasting solutions. A crucial step in advancing that mission involves training and mentoring future generations of One Health workers, and it’s something we care deeply about at the UC Davis One Health Institute. 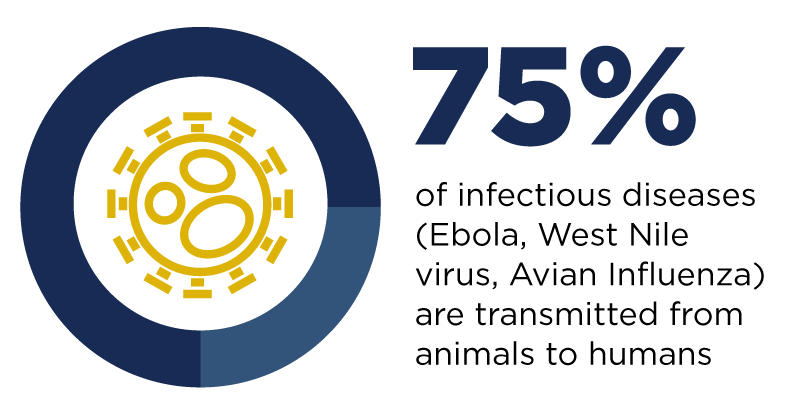 In the spirit of that mission, The One Health Institute, with the UC Davis School of Veterinary Medicine and the UC Davis School of Medicine, recently helped launch two courses that will be offered this summer – one in Sri Lanka and the other in Tanzania and Rwanda. Application deadlines for both are fast approaching, so we encourage graduate students and professionals in related fields to apply now! With global populations increasing rapidly, one of the most important concerns facing humankind is ensuring health; everything from access to safe and sustainable food and water resources to animal disease prevention, resilient ecosystems and culturally appropriate health care. The health of animals and the planet are also at risk given current trajectories. This three-week, action-oriented field course is designed for a collegial, inquisitive, multi-disciplinary group of students in human health sciences, veterinary medicine, agriculture, nutrition, and social and environmental sciences. University of California (UC) applicants can be enrolled at any of the 10 campuses. Students must be committed to learning and working together to apply the One Health approach to important human, animal and environmental health problems. Eligible UC students will include professional degree students in medicine and veterinary medicine as well as graduate students in nursing, agriculture, nutrition, public health, social and environmental sciences. Academic credit is possible. Are you an early-career health, agriculture or conservation professional interested in One Health problem solving at the intersection of animals, people and the environment? Do you want to learn as a part of an interdisciplinary team working in the field and gain skills related to leadership, communication, cultural competency, and field & laboratory assessments? If so, then this educational Rx (or prescription) is right for you! The program involves a four-week course (June 4 – June 30, 2017) aimed at early career health, agriculture, and conservation professionals who wish to gain knowledge and skills in the principles and practices of One Health. There will be a maximum of 22 participants who will be mentored by dozens of faculty experts. Priority for enrollment will be given to veterinary and medical students from the University of California and University of Rwanda.